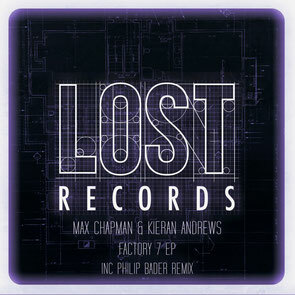 Yesterday saw the release of Max Chapman & Kieran Andrews’ ‘The Factory’ EP via Lost Records, backed with a remix from Philip Bader. Max has been carving out a career over the past couple of years with material surfacing on Hot Waves, Lower East and Kaluki, as well as his own Resonance Records coming into prominence. Here he pairs up with London’s Kieran Andrews for another release, returning to Lost Records as a follow up to their ‘Temperature’ EP released on the label earlier this year. 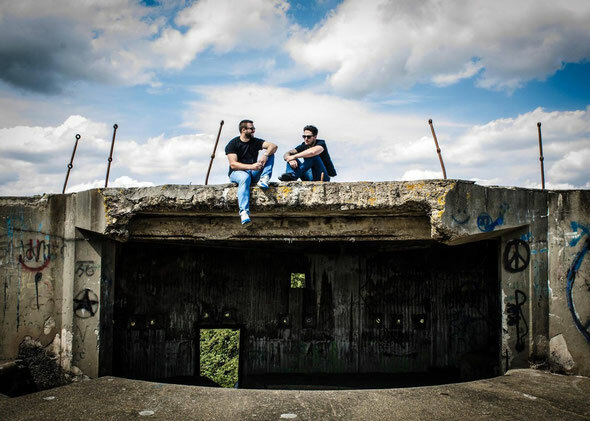 Kicking things off is ‘Factory 7’ and as the name would suggest Chapman and Andrews treat you to a rugged warehouse tipped vibe, employing shuffling snare-led rhythms, an infectious, menacing square wave bass hook and murmuring vocal chops to create a raw, upfront, and dance floor focused track. Philip Bader steps up to reshape ‘Factory 7’ next, pulling back the feel of the composition to a more reduced state, and tipping the focus over to crunchy drum sounds, a stabbing bass hook and bubbling synth licks, while the pitched vocal snippets and rumbling subs further fuel the groove. ‘Loving Arms’ rounds things off with a smoother, more ethereal feel. Bringing soft pad lines and soulful vocal chops to the forefront, while the organic rhythms and elongated low-end tones carry the hypnotic groove for over its seven-minute duration.